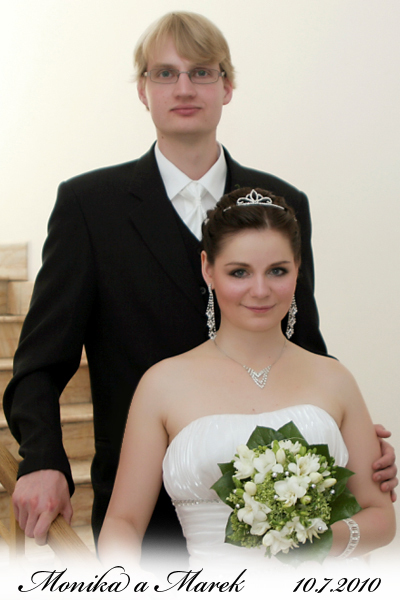 We met each other at high school in Zvolen in 2002. A common desire to craft musical instruments brought both of us there, to the department for the production of musical instruments. 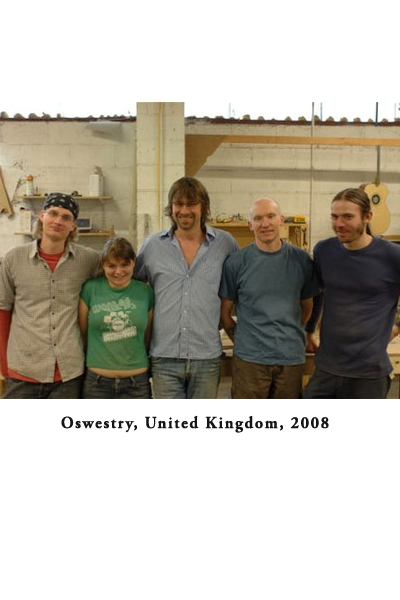 We followed this dream together and after graduation we moved to the UK, where we worked in the close five-member team of a very successful and renowned guitar maker Patrick James Eggle. 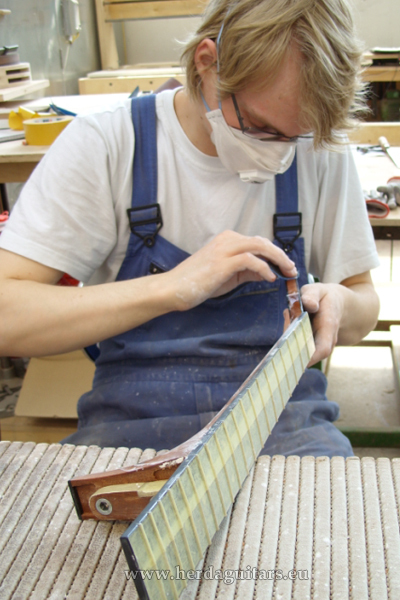 Over several years we participated in the construction of more than 300 excellent hand-made acoustic guitars and become experts in our work. We had great time and found amazing friends in our workmates. But from the first day that we moved to UK we were missing our home and families and can’t stop thinking about coming back home. 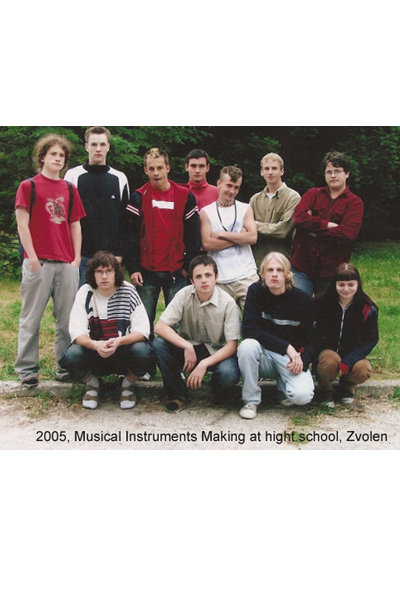 In 2009 we decided go back to home, to Slovakia, and founded the company Herda Instruments. 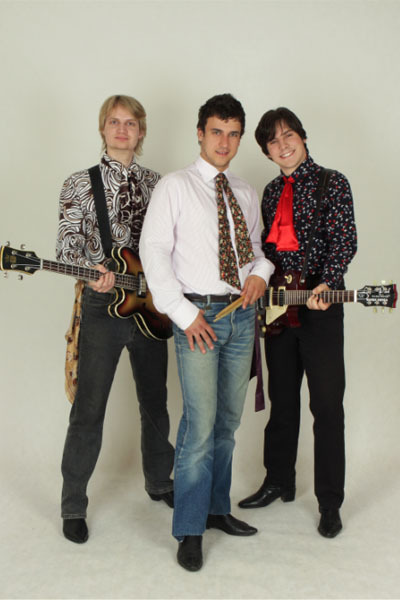 We used all earned money from UK to machinery, furniture, tools and material for our new workshop and started working on own guitars. We were sharing all our passion to craftsmanship and guitars together for 8 years. 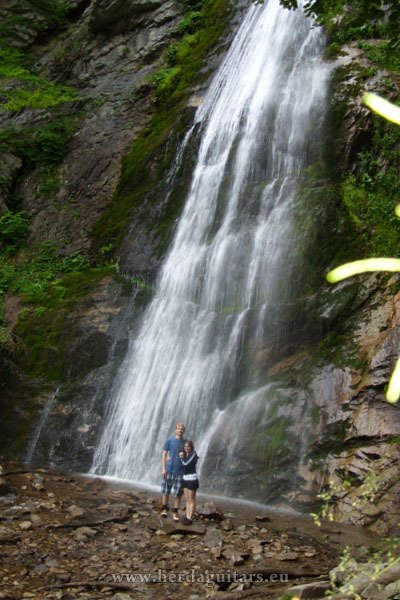 It put us together so heartily and we married in 2010. We try to represent our Slovakia well in the modern global community. We believe with your trust and support we can do it. We would like to thank family, friends and all of you who speak about us, give us new suggestions and especially to our customers. Thank you for being involved in the creation of Herda guitars. Monika is creative and artistic. 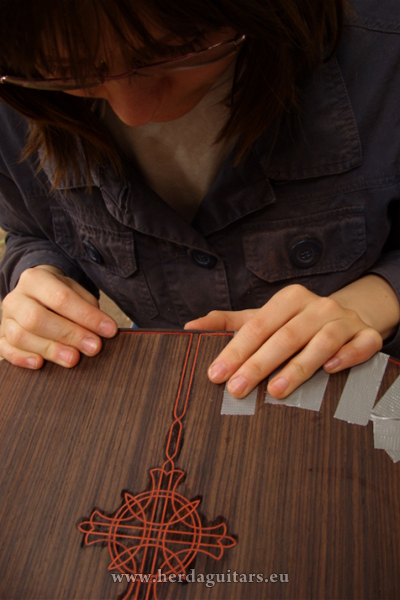 She is designing Herda guitars and is turning visions into reality. Marek is perfectionist, his technical precision and patience is admirable. He loves the connection of history, vintage and quality. Some of our models and materials reflect this taste.